YOLO COUNTY, Calif. (KGO) -- The Wragg Fire, which has burned nearly 7,000 acres in the North Bay, is now 55 percent contained. All evacuation orders and road closures were lifted at 10 a.m. on Saturday. Firefighters continue to make progress containing the massive wildfire burning near Lake Berryessa in Napa, Yolo and Solano counties by constructing a line around the fire. There are currently 1,825 firefighters on scene, with 157 fire engines, 28 bulldozers and 13 helicopters. Close to 140 structures remain threatened, but no injuries have been reported. 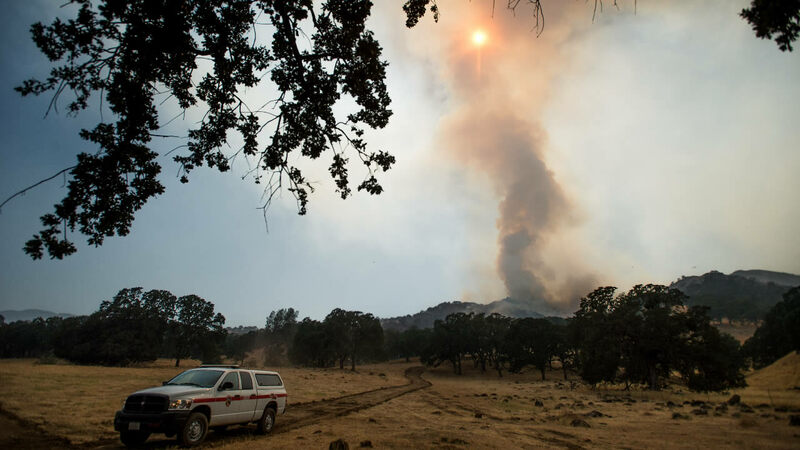 Cal Fire Sonoma Lake Napa Unit and the Winters Fire Department will host a town hall community meeting Saturday at 6:30 p.m., which is open to the public. It will include a discussion regarding the current fire situation, an overview of what happened during this fire and the objectives of the fire managers. It will be held at Winters Fire Department located at 700 Main Street in Winters. More than 1,500 firefighters are fighting the fire from the ground and from above. Fire officials say nothing has been easy about this, not the weather, not the terrain and not the wait for evacuees. Some residents were able to return home Friday. Residents were relieved when Route 128 west of Winters finally reopened Friday. "The day before yesterday, it was right in my face as I watched it coming down the hill," said Wendy Sheet, an evacuee. When the Wragg Fire broke out, flames consumed 500 acres in the first hour. Firefighters area still facing a prolonged fight across tough turf. 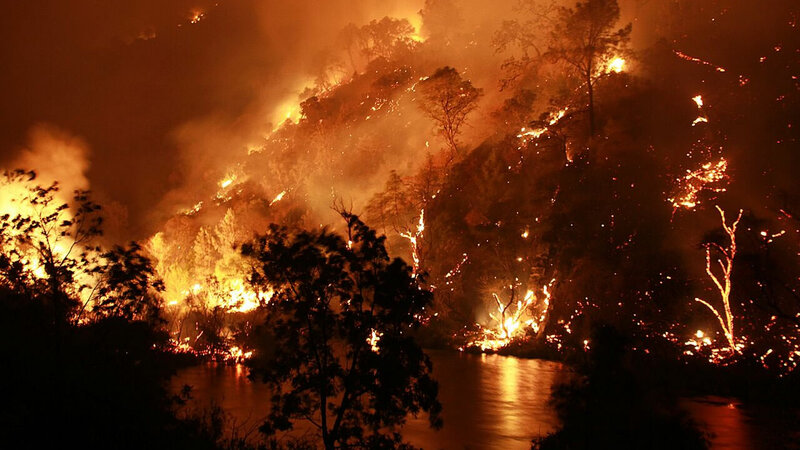 The most active part of the fire, which broke out Wednesday, was burning along a mountain range in a remote area several miles from the highway that feeds into the park for Lake Berryessa, one of the largest bodies of fresh water in California. The fire is less than an hour's drive to California's famed Napa Valley wine country, but no vineyards were in immediate danger. "It's pretty far away from the Napa Valley," said Amy Head, state fire spokeswoman. "Fine to go into the Napa Valley and do tastings."